Advance with us into a new era of inclusive communities in which people with disabilities are designing engaged and fulfilling lives. We’ve brought together two leading-edge organizations, Options and Christole, to form LIFEDesigns, an innovative service provider creating opportunities for people with disabilities to learn, work, contribute, and thrive. By combining forces, Options and Christole draw on their stellar reputations to forge a path toward comprehensive, holistic support for people with disabilities in Columbus, Indiana. From primary education and behavior support to employment, housing, health care, and technology assistance, LIFEDesigns looks ahead to consider the complete picture of an individual’s evolving needs and goals. 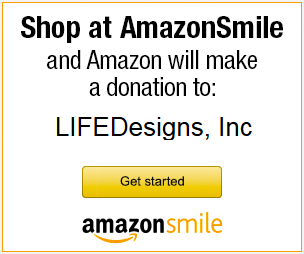 LIFEDesigns serves people with disabilities in Columbus, Indiana. Although we serve over 300 people with disabilities, the number of people with a disability in Columbus is far greater. The table below (from National Institute on Disability & Rehabilitation Research, 2008 American Community Survey & Census Bureau) shows that there are over 500 people on the wait list for services in Bartholomew County. As state dollars for services decrease, we want the number of people we serve to increase, shrinking the wait list. This is a difficult challenge, but one that we are taking head on. We want our services to be provided to everyone who needs them and we will continue to work to serve more and more customers. To find out more about receiving Services from LIFEDesigns, please call us toll free at 800-875-9615 and ask for our Director of Support Services.